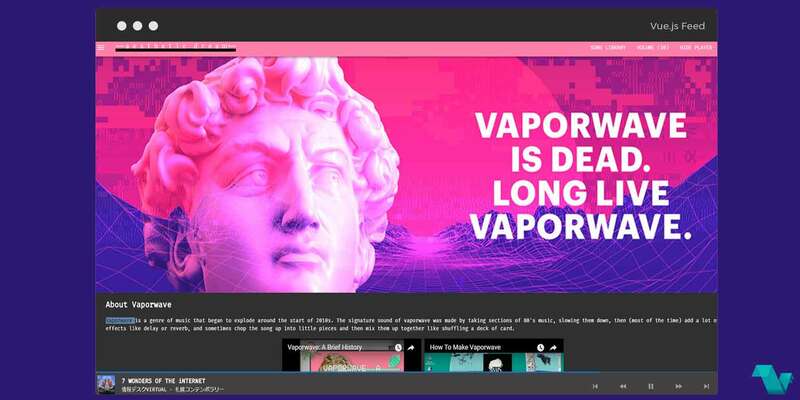 Project Helios is a tribute site to the Vaporwave Movement, powered by Vue.js. The website consists of a song library, a home page, an about modal, volume adjust, and a search field with instant results. Vaporwave is a genre of music that began to explode around the start of 2010s. The signature sound of vaporwave was made by taking sections of 80's music, slowing them down, then (most of the time) add a lot of effects like delay or reverb, and sometimes chop the song up into little pieces and then mix them up together like shuffling a deck of card.